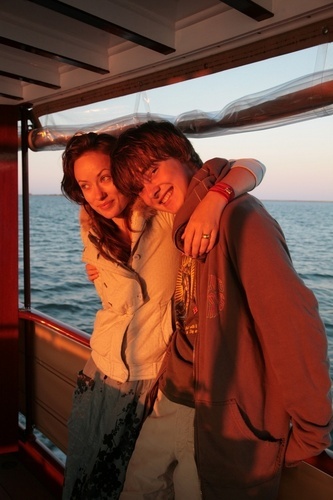 Olivia and her little brother Charlie. . HD Wallpaper and background images in the Olivia Wilde club tagged: olivia wilde actress twitter photo brother charlie sibling. This Olivia Wilde photo contains strandhaus. There might also be box mantel, kastenmantel, box-mantel, ponton, resort, resort-hotel, ferienanlage, resort hotel, ferienort, and resorthotel.